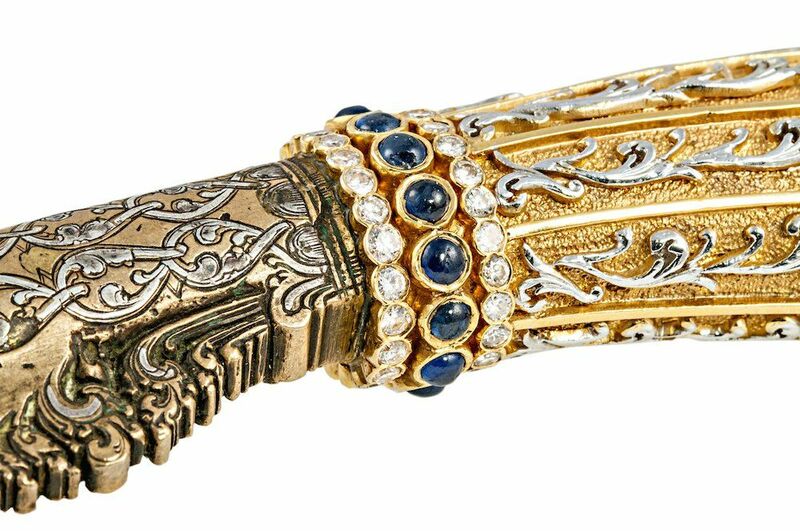 A Gold sapphire and diamond mounted ceremonial dagger the blade probably Bermuse [sic?] 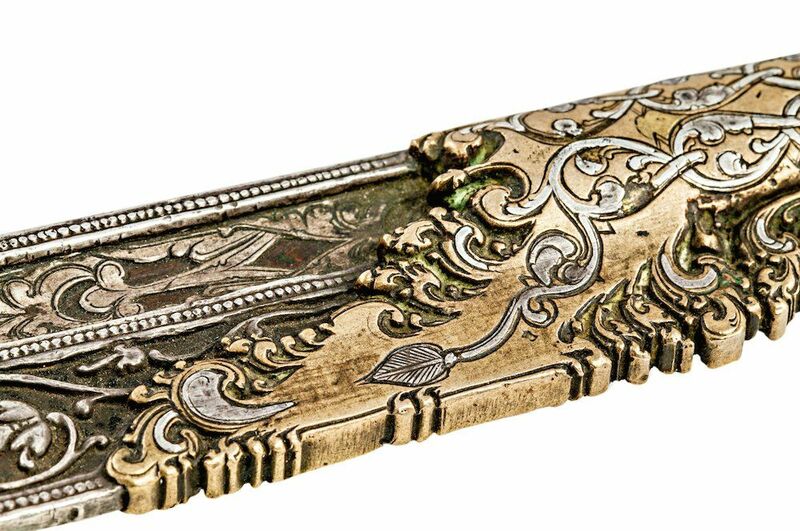 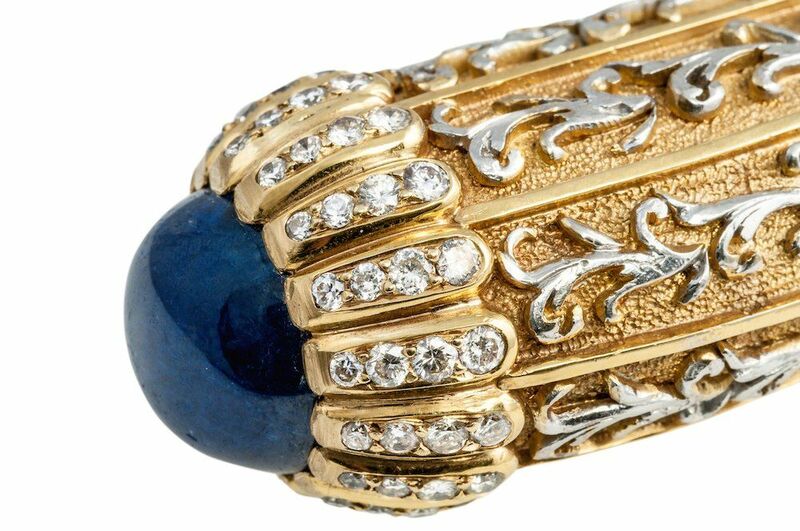 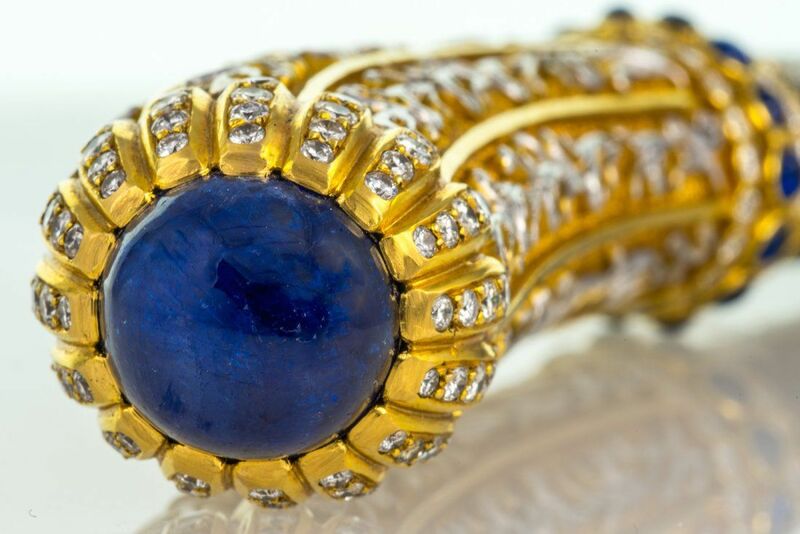 18th centroy carved and inlaid with silver the later handle made in gold with large cabochon sapphire set with diamonds. 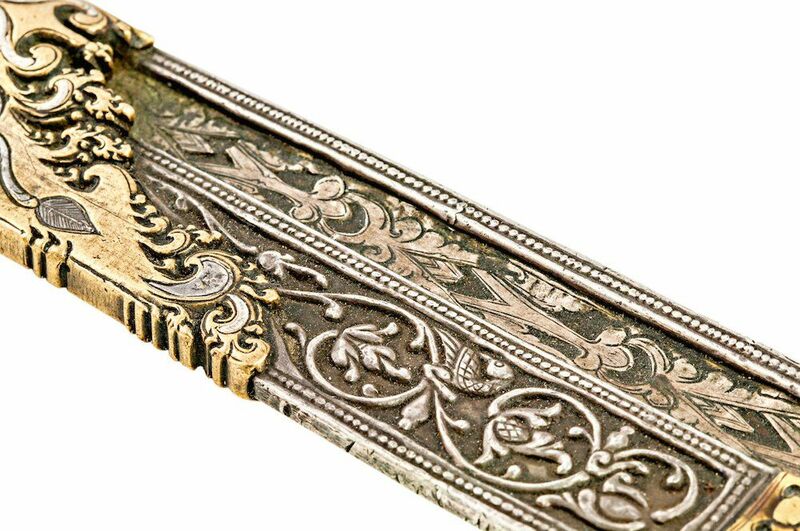 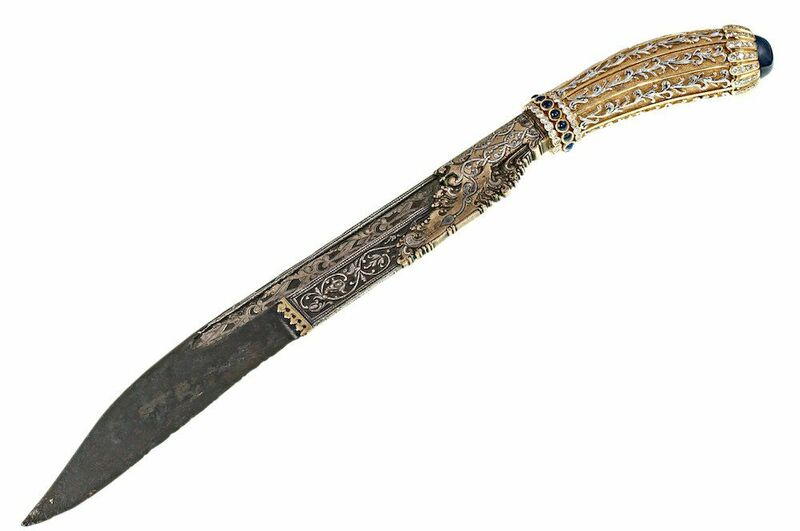 Editor's Note: Measurements not provided, however the knife was so unusual and heavily bejewelled (as much or moreso than any other knife I know of) that I thought the knife too important not include in Sword-Site's collection.